A 2 ton central air conditioner is the right size for many homes approximately 1,000 to 1,600 square feet, depending on the climate and other key factors. Homeowners in cooler climates often choose a standard or mid-efficiency air conditioner to save on equipment costs, while those in warm climates usually select a high-efficiency central air conditioner to save on energy costs. The size and efficiency of the air conditioner are the key factors in how much the unit will cost, though performance features can play a role too. In this article we will look at 2 ton air conditioner prices and offer a sampling of some of the best models on the market. We’ve listed 3 models covering low, medium and high price ranges. Note, too, that all of these central air conditioners are offered in sizes up to 5 tons. Trane is often associated with high-end, expensive products, but their lineup actually offers excellent diversity in terms of price and efficiency. The Trane High Efficiency XR13 air conditioner is rated at 14 SEER, which is considered standard efficiency despite the unit’s name. It does offer quiet, reliable service. The Trane ClimaTuff compressor has a good service record, and it’s backed by a 10-year warranty. The outdoor evaporator coil is designed with spine fins for more effective heat dissipation. The Trane High Efficiency XR13 air conditioner works exceptionally well with compatible Trane gas furnaces and air handlers, but can be matched with many other brands too. As efficiency goes up, so goes the price. The 2 ton Coleman Echelon Series Model AC5B is a 15 SEER central air conditioner that also has a couple of notable performance features which will make your home more comfortable. The 2-stage cooling function means that the compressor runs on low most of the time, switching to high only to significantly boost cooling. Low operation produces better humidity reduction because the unit runs more consistently, something that also boosts longevity. The Whisper-Drive technology employs several sound-reduction features that deliver quieter operation. This model is a good choice in regions of the country where a quality air conditioner is appreciated, but isn’t relied upon as heavily as it is in very warm climates. Ducane isn’t a household word like Trane or Carrier, but they produce a fantastic product that is highly rated by consumers. The Ducane Model 4AC18 central air conditioner will reduce cooling bills significantly when it replaces a unit 10 years old or older – perhaps by as much as 50%. This high-efficiency model offers 18 SEER as well as good performance. The heart of the condensing unit is the Copeland Ultra-Tech 2 stage compressor, widely considered the best compressor available. Gentle cooling and better humidity control are produced. The long list of features includes spine fin coil design, Comfort Alert diagnostics and noise-reducing technology. See the full features for each of these models by following the links to the main price review article. 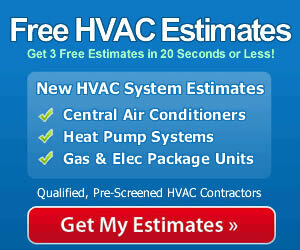 Review all of our HVAC prices articles to compare 2 ton air conditioner prices and features. You’ll find the right combination of price and efficiency for your home and local climate.